the damage is actually 1 million and this paralyzed the target(s). this move confuses the target and the damage is actually 1,000. The blow is so hard, it might knock the targets head off. Comments : He actually has 1zillion hp. 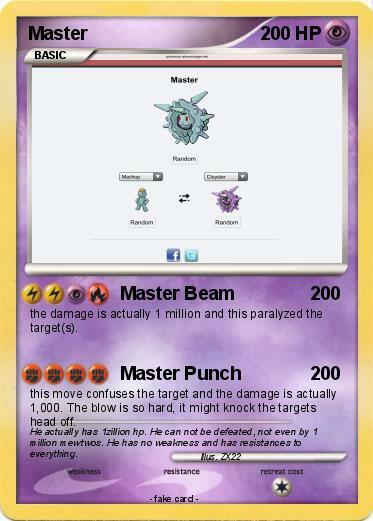 He can not be defeated, not even by 1 million mewtwos. He has no weakness and has resistances to everything.